These Baked Greek Meatballs are seasoned with grated onion, garlic, oregano, fresh parsley and mint. Perfectly juicy and golden brown, they are great served as an appetizer or as part of dinner! 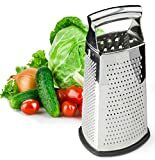 No frying needed means easier, quicker and lighter! These Baked Greek Meatballs are delicious, tender and perfectly caramelized on the outside. A great dish everyone will love! 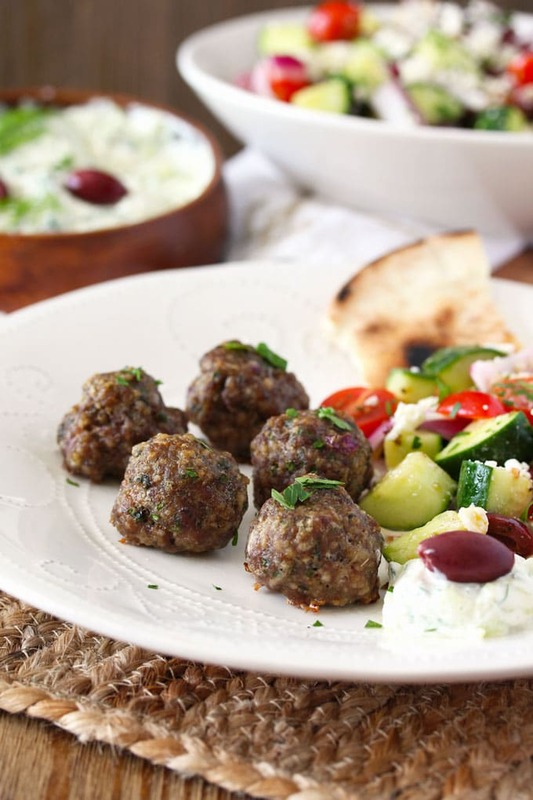 These Baked Greek Meatballs are extremely close in taste to authentic Greek meatballs (Keftedes). 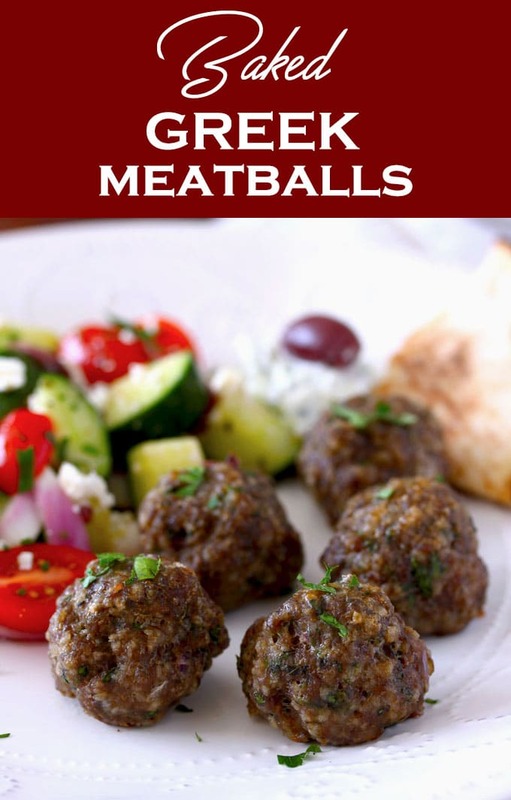 The only difference is that authentic Greek meatballs are coated in a bit of flour and then pan fried in oil. I wanted to bake mine instead to make the cooking processes shorter and to keep the baby sitting to a minimum (I really didn’t want to stand by the stove getting oil splattered everywhere). 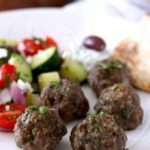 My Greek grandmother used to make her meatballs with ground lamb. Because lamb is very lean, she used to pan fry her meatballs to golden perfection. 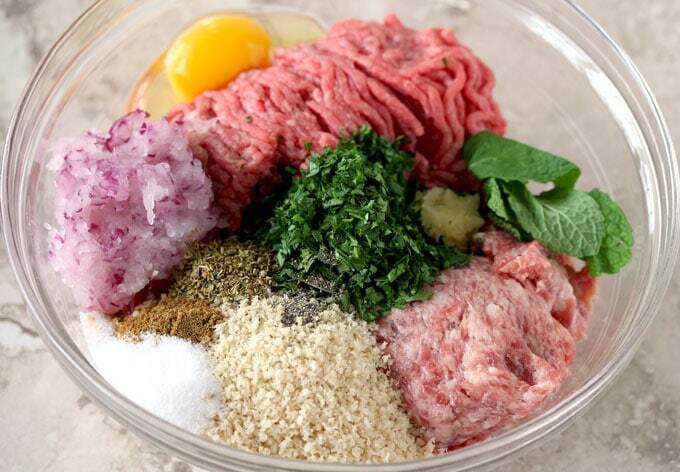 In this recipe, I use a combination of ground beef and ground pork. The pork helps keep the meatballs really juicy. Grated onion, lots of fresh parsley, a little bit of fresh mint, dried oregano and garlic bring lots of clean flavor to these amazing and super tasty meatballs. I use a small ice cream scoop to shape the meatballs. It makes the job easier and the meatballs more uniform in size. Make the perfect mezze platter (appetizer) to serve at your next get together, party or for family game night! 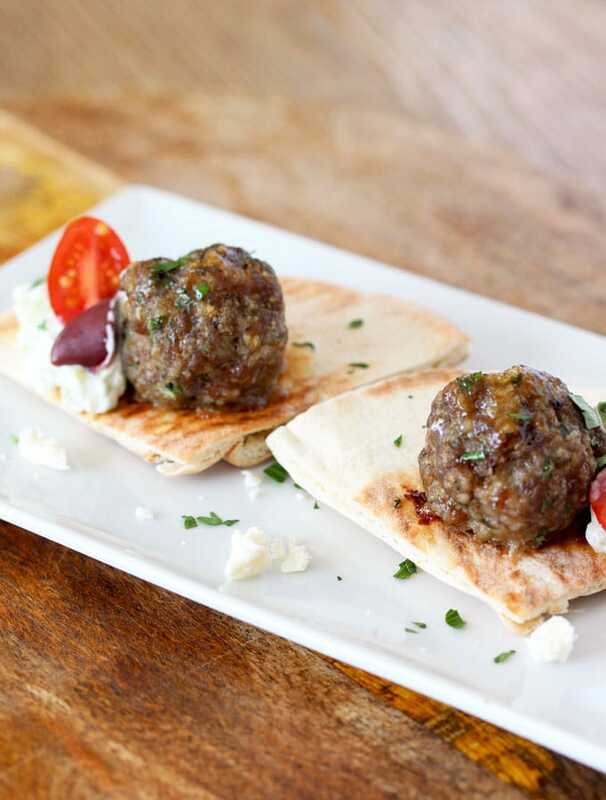 Arrange the meatballs in a platter with some pita bread, Kalamata olives, tomatoes, cucumbers, feta cheese and Greek Tzatziki Sauce. Done! Make it a meal by serving them with this Ultimate Chopped Greek Salad and of course some pita bread on the side! Once again, when it comes to authentic cuisine, everyone has their own opinion. 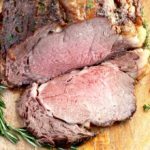 One usually follows the recipe their family had for many years – me? I like to stir the pot a bit! In some Greek islands, people add ground cumin and cinnamon to their meat mixture. 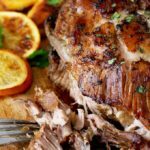 I added a little bit of cumin to my version – let’s be clear my grandmother did not!! My mom doesn’t either – when she tried my version, she loved it but she noticed something was different!! Bahahahaha!! Feel free to skip the cumin if you wish. 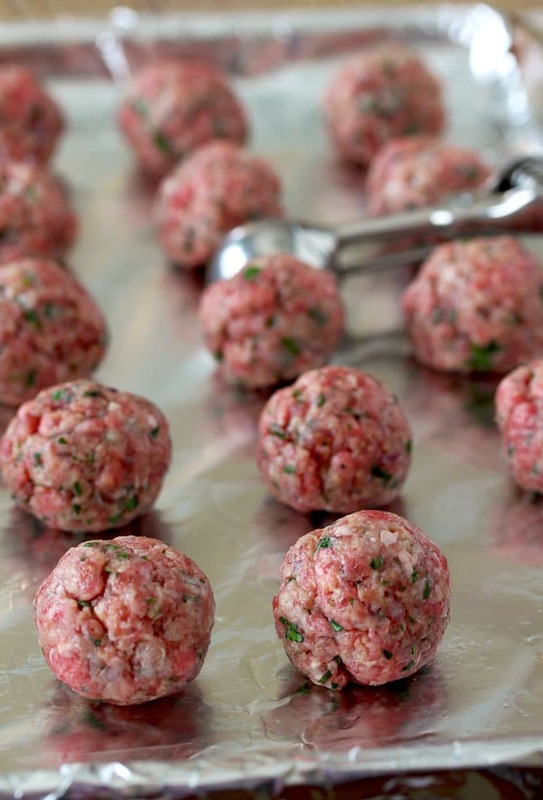 After shaping the meatballs, you can refrigerate them for one hour. This optional step will help in keeping their perfect shape when baking. I love serving these Baked Greek Meatballs with my favorite Greek Tzatziki Sauce, to me they go as well together as peanut butter and jelly! However, a big dollop of plain Greek yogurt is also a good option. Check out these amazing Goat Cheese Rosemary Baked Chicken Meatballs from A Joyfully Mad Kitchen! This recipe was inspired by a recipe from My Greek Dish. They are a fabulous source for all things Greek! WANT TO TRY THESE BAKED GREEK MEATBALLS? 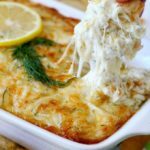 PIN IT TO YOUR APPETIZER OR DINNER BOARD TO MAKE IT LATER!! Line a baking sheet with aluminum foil and spray with cooking spray or brush lightly with olive oil. Place all the ingredients into a large mixing bowl and combine by hand until well incorporated. Form into meatballs (about 1-inch in diameter). This process is easier and the meatballs more uniform if you use an ice cream scoop. Place the meatballs on the baking sheet and bake for 18 -20 minutes or until golden brown and cooked through. D E L I C I O U S!!!! It with tazikki sauce !!!! Greek oregano is THE BEST !!!! Thank you Sandra! Yes that Greek oregano never disappoints!! !